Case Trapper features Yellow Synthetic handle and traditional Chrome Vanadium steel Clip and Spey blades. 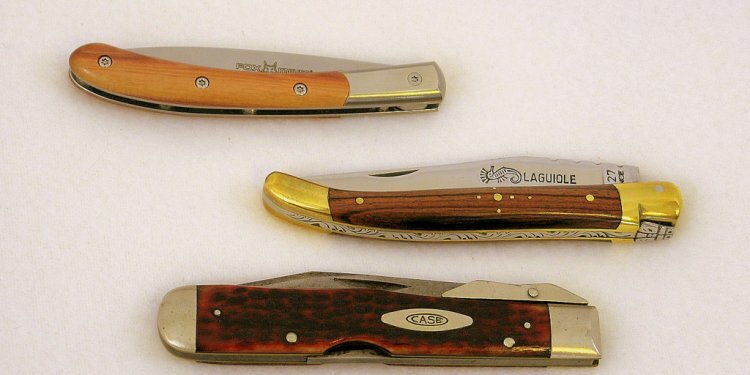 First offered in the 1920’s, the Yellow Trapper today is one of the most popular knives in the Case line. From cleaning game to more detailed cutting tasks on the workbench, the Trapper is built to get the job done. And the bright yellow handle color will keep this Case Trapper easily within your sight. Some knife lovers will settle for nothing less than Chrome Vanadium blades, since this special formula of alloyed steel is the “original” Case blade steel. Case Chrome Vanadium blades are known for their edge-holding ability and easy re-sharpening. However, they are less resistant to rusting, pitting and discoloration than stainless steel. We recommend keeping a thin film of oil on the blade to maintain the finish. This ensures that your knife will be around for future generations to enjoy.